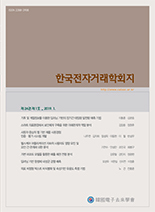 김향숙, 김효창, 지용구,(2015).U-City 주거 환경 서비스의 사용자 가치 분석.한국전자거래학회지,20(1),167-182. 고령자, 장애인의 삶의 질을 유지시키기 위한 방법 중 하나로 주목받고 있는 미래의 주거형태인 스마트 홈은 인간 생활 전반을 지원하기 위한 다양한 기능적 공간이 융합된 곳으로서, 삶의 질에 크게 영향을 끼칠 잠재력을 가진 공간이다. 따라서 삶의 공간에서 만족도를 높이기 위해 사용자의 실제 니즈를 반영하는 것이 매우 중요하며, 스마트 홈 내의 사용자 가치에 대한 연구는 활발히 이루어져 왔다. 그러나 광범위한 스마트 홈 서비스를 명확히 분류하고 서비스 특성에 따라 요구되는 사용자 가치를 제시한 연구는 아직 부족한 실정이다. 이에 본 연구는 스마트 홈 서비스를 사용자 관점에서 분류하고, 서비스의 특성에 따라 요구되는 사용자 가치를 규명하는 것을 목적으로 하였다. 이를 위해 문헌 연구를 통하여 사용자 중심적 관점에서 스마트홈을 정의하고 이를 토대로 스마트 홈의 기능 및 서비스 분류 체계를 수립하였다. 또한 스마트홈 서비스의 기술, 서비스 영역에서의 사용자 요구가치를 도출하고, 앞서 수립된 서비스 분류체계와의 연관관계를 도출하였다. 본 연구를 통해 추후 스마트 홈 서비스 개발에 있어서 사용자에 대한 더 깊은 이해가 가능하도록 도울 수 있다는 의의가 있다. The concept of Smart home is receiving a huge attention as a future living environment because of its advantages for elderly and disabled to maintain their quality of life. Smart home is a place equipped with integration of technology and services and closely intertwined with occupant’s lifestyle. Therefore it is critical to consider the user’s actual needs for ensuring satisfaction. However despite growing researches on user values for smart home, there have been few studies clearly categorizing smart home service and stating user values depending on characteristics of service. Thus, the aim of this research is to classify smart home services on user’s perspective, and reveal user values for each smart home services. Through the in-depth literature review, we elicited technology-related user values and service-related user values, and state classification for smart home service. Also the relationship between user values and each smart home services were revealed. The results of this research should help to reflect user’s actual needs for designing smart home services.